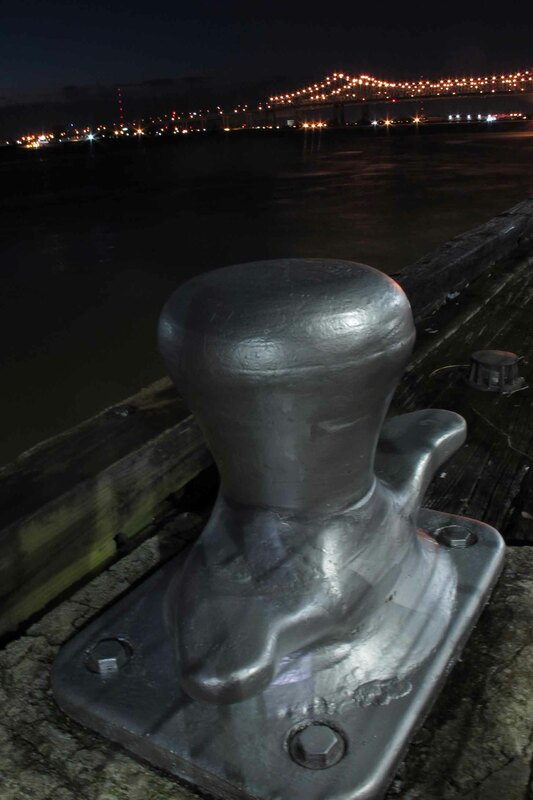 River walk in New Orleans before dawn. There’s nothing like a little “urban hiking” to make you appreciate the Ozark Mountains. But, there are interesting and sometimes beautiful things to explore even in an urban setting. Early morning is my favorite time in big cities, especially New Orleans. It’s one of the few times you can walk around without bumping into hordes of people (many inebriated). I rose before dawn on the final day of a professional educator’s conference looking forward to an easy run/walk along the Mississippi River. 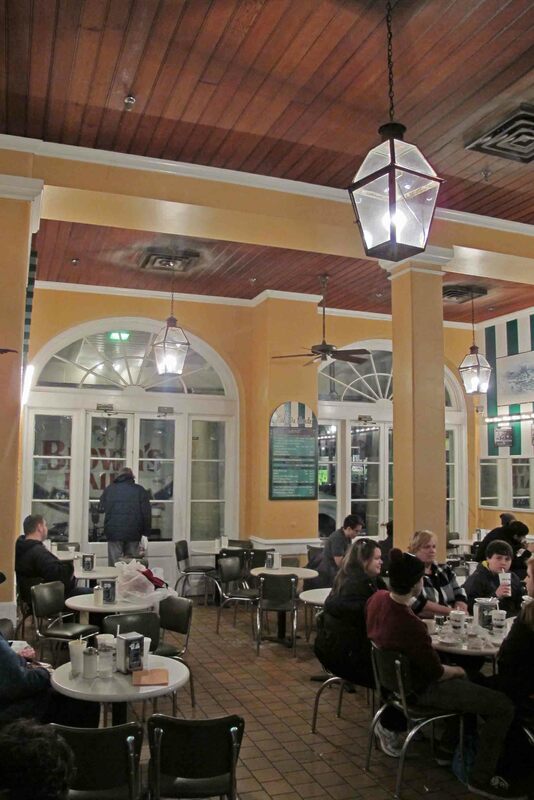 My targeted stop was Café Du Monde’ on Decatur Street. The friendly manner of the staff was refreshing, especially in a city where everyone has their hat out waiting for a tip. 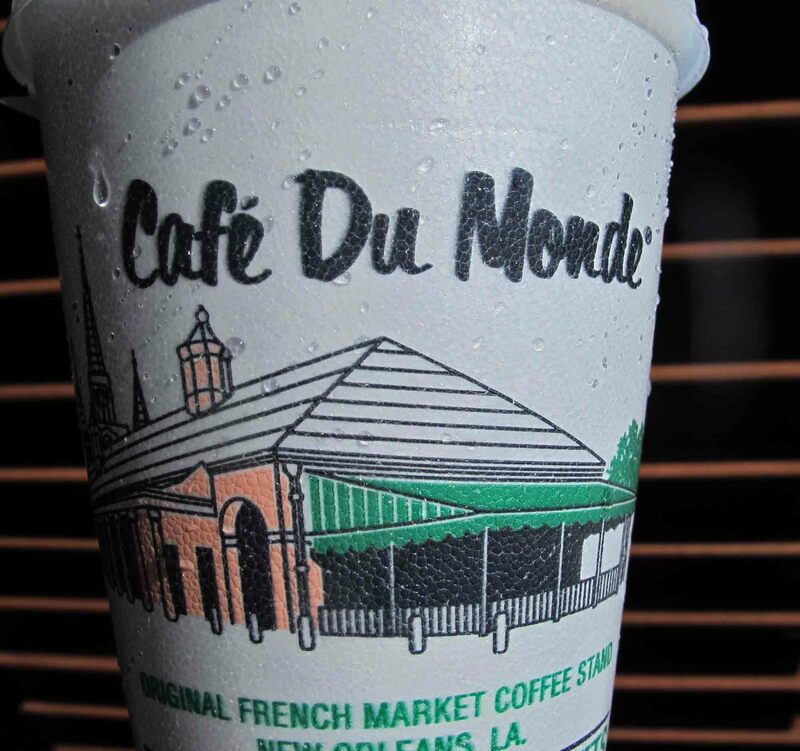 I gladly tipped the pleasant gentleman who retrieved my Beignets and STRONG coffee. Anyone working at 5:00 a.m. deserves extra consideration. 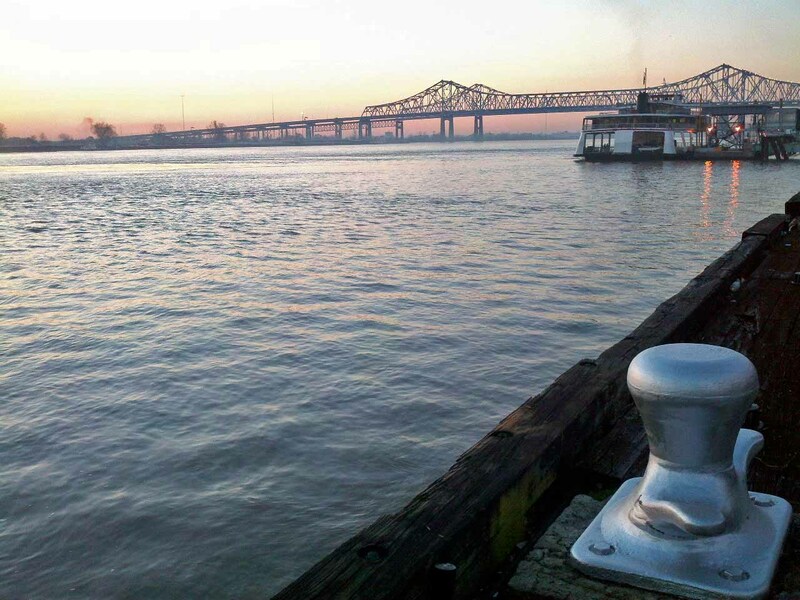 Local artists were setting up for an exhibit in the Jackson Square area even before daylight. The motivation might have been to get prime locations. Even in the dim light I could make out some of the things that were already on display. I admire those who can create visual art. Some art really grabs me and some leaves me wondering if any skill was required to produce the piece. Looked like both types were going to be represented in this exhibit. 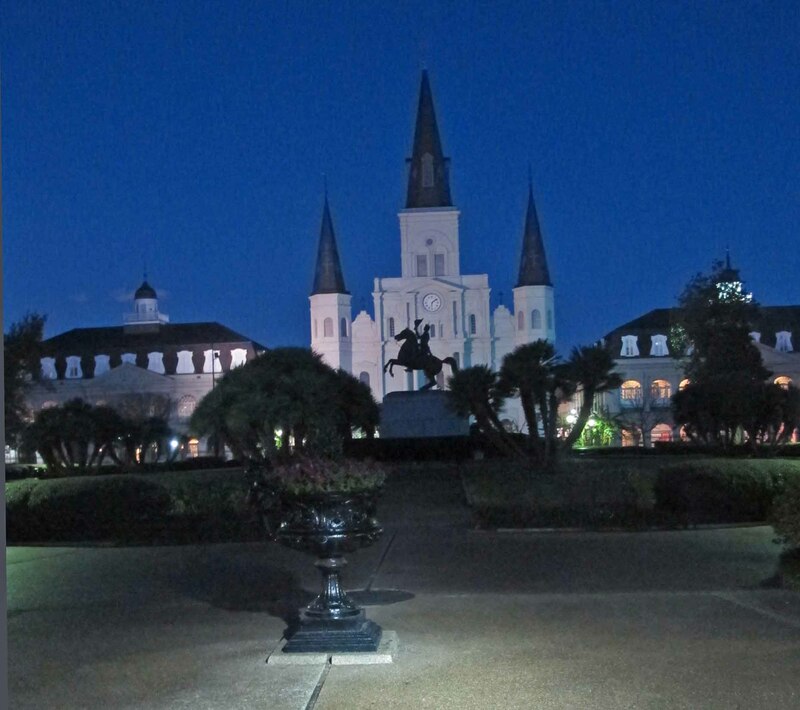 Stopped to take a picture of the cathedral at Jackson Square before following the street sweepers and pressure washers on down Decatur toward the hotel. Ready to begin the day, refreshed by the cool morning air, some good exercise, and a STRONG cup of coffee. 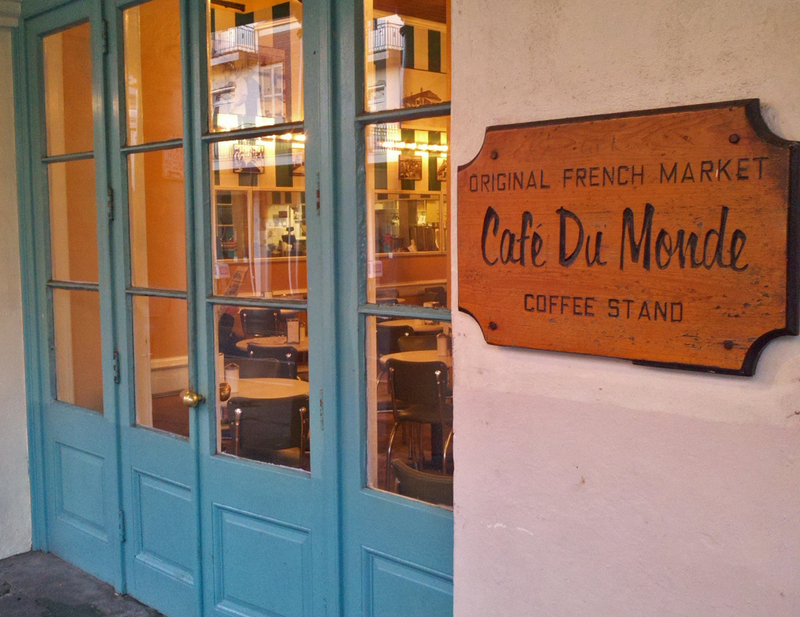 This entry was tagged Beignets, Cafe Du Monde, New Orleans, urban hiking. Bookmark the permalink. Yes, that chicory coffee will definitely grab your attention. i stumbled upon your blog and ejoyed several of your posts. i grew up in the mississippi delta, and i have family in little rock and monticello. the ozarks are lovely, and i am sure you have many great posts that show their beauty. when i have more time i look forward to reading more. That bridge shot is lovely. So was the coffee STRONG enough for you? You did a good job of showing the early morning city before you started your conference. I enjoyed it very much. Ailsa is doing bridges this week. If you have more of that, you should post it! Or else play with post editing and show the different results.